with free shipping to EU and USA. 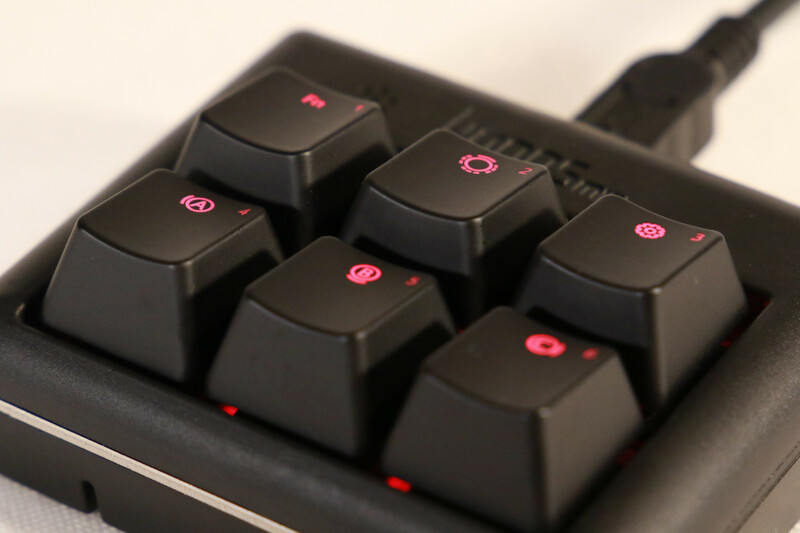 With our custom configuration tool, you can modify your keyboard to suite your needs. Use the simple user interface with your mouse or take control of the device by writing code which will run on the device itself. You can program this macroboard with a simple UI by using your mouse or writing software for it in C(++). You could even turn it into a Arduino Leonardo with several digital and analog pins on the back. 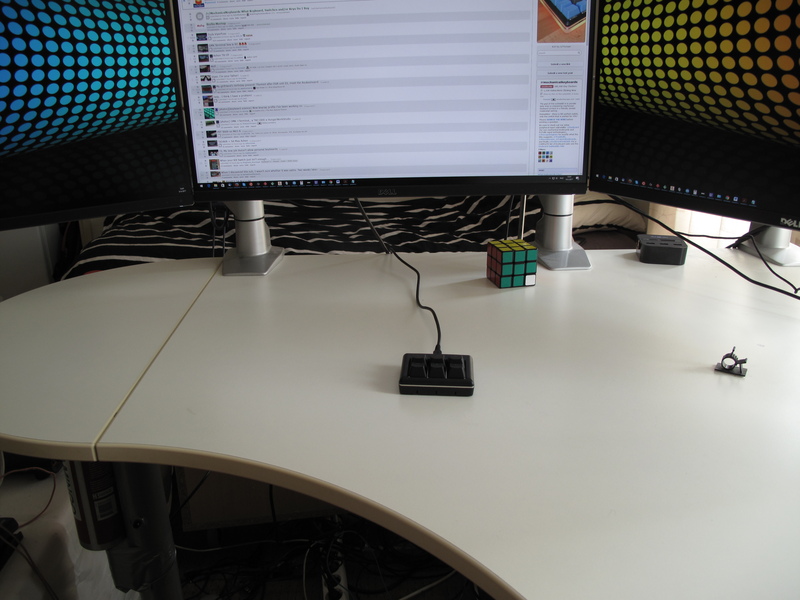 This macropad acts as a simple keyboard and mouse to your device. This means that it works perfectly fine with Windows, Linux and MacOS without additional drivers. We want you to be as efficient as possible during the day. 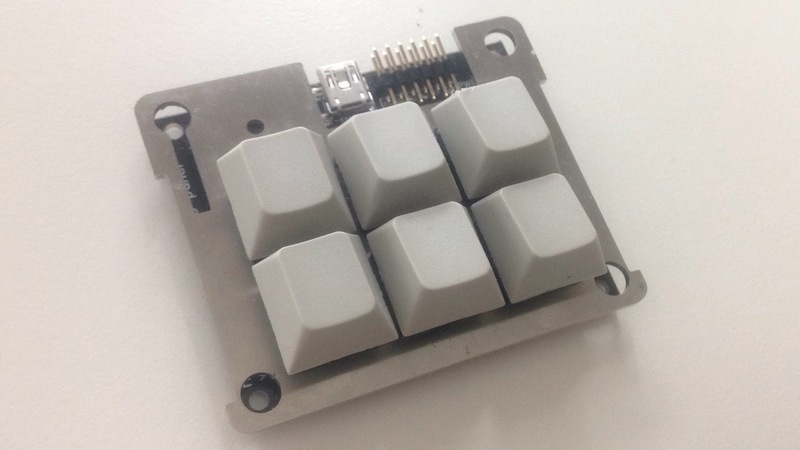 Therefore we made sure you don't need to be a computer genius to get this macropad to work. 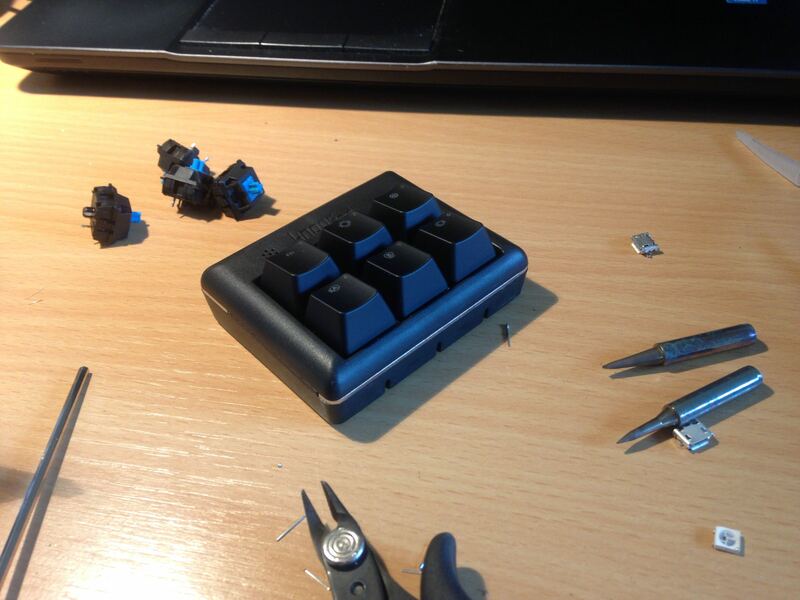 This keyboard uses plate mounted Cherry MX switches with custom laser engraved keycaps. It also features a audio speaker and three layer indactor LEDs. 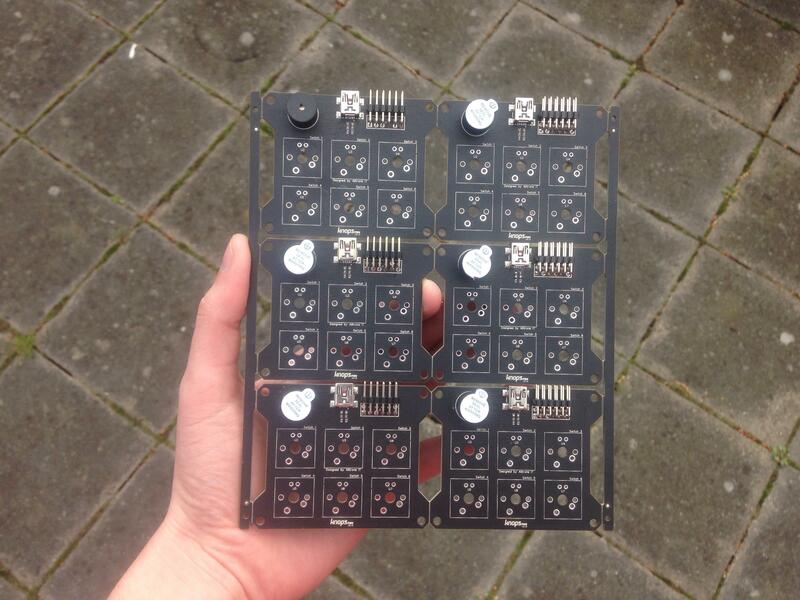 - Six programmable switches with custom laser engraved backlit keycaps. - Audio speaker inside to notify you with multiple sounds. - Easy to use GUI to program functionalities. - Ships with a usb cable and a tailored bag for traveling. - Three layer indicating LEDs on the front which can project a beam of light on your desktop. 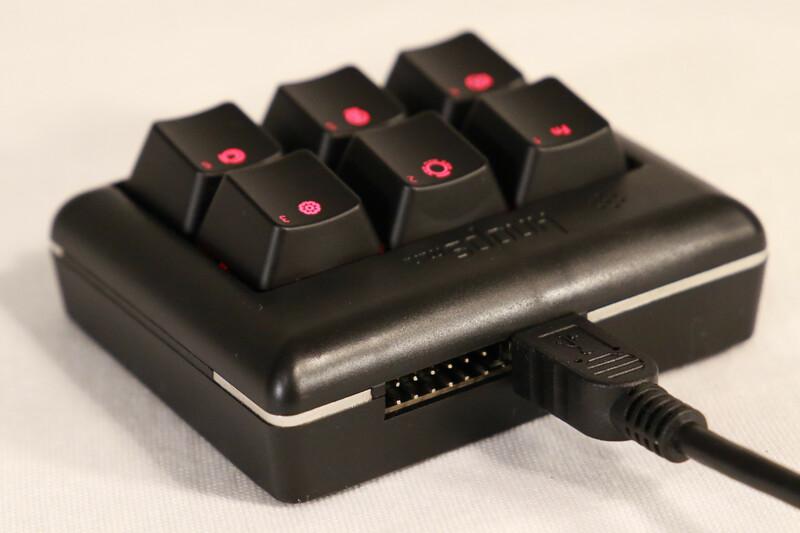 - Several GPIO pins on the backside to extend the keyboard with your own hardware. - By changing the bootloader, you can program this keyboard with the Arduino IDE. Here we show some short videos of the production of the macro keyboards. 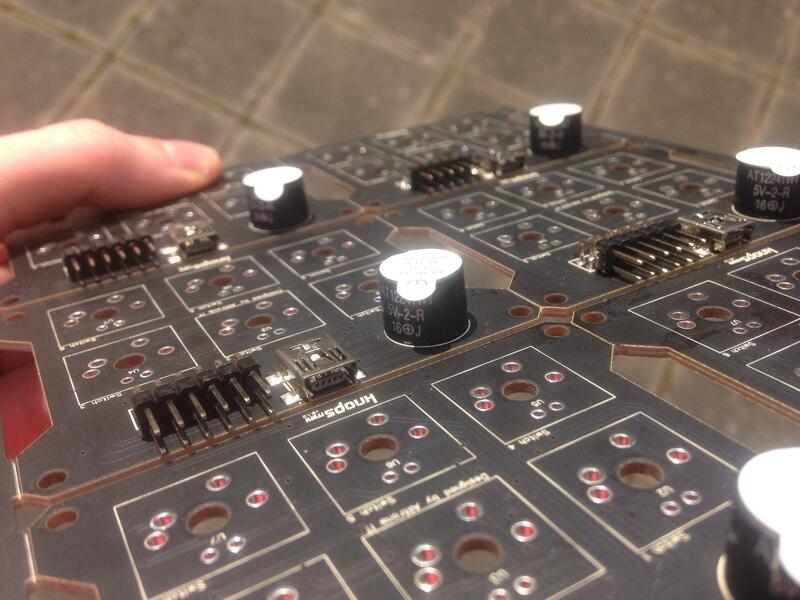 Several parts, such as the PCB, injection mold and laser engraved keycaps are highlighted. 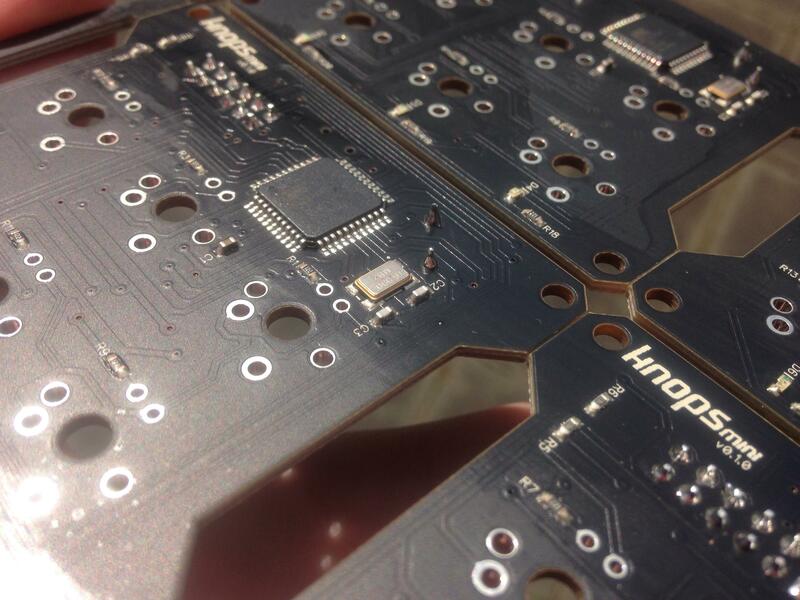 The Knops Mini is currently available in a limited quantity with free USA/EU shipping.